When he hears that fire alarm, Sam is always cool and calm. If you’re stuck, give him a shout. He’ll be there to help you out. So move aside make way, for Fireman Sam. ‘Cause he’s gonna save the day, Fireman Sam! If you are a parent of a young child, the chances are you will currently be crooning the above tune. 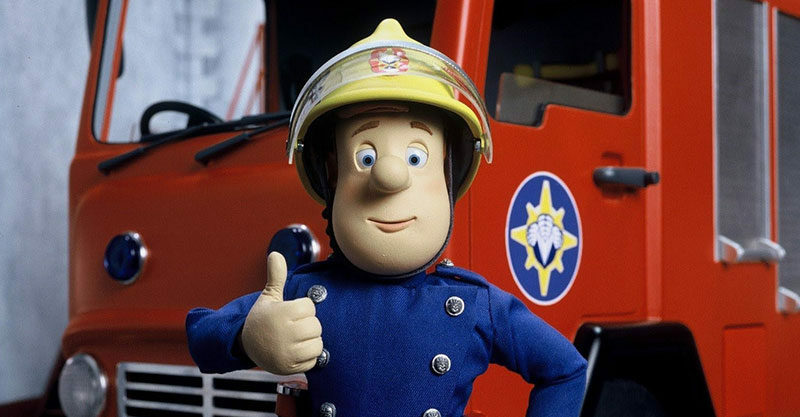 But while singing the lyrics to Fireman Sam’s theme tune 29 or 30 times a night for the past few weeks has firmly tattooed them on my cranium, it has not helped me uncover the answer to many questions I have about the program itself. I ask, not because confusing red for blue or pink for green is a regular storyline. But because I cannot for the life of me work out why he could not tell the difference between Elvis Cridlington and his cousin Jerry-Lee Cridlington. Sure, they looked vaguely alike when they had their helmets on. But when they were off?! One has dark hair and the other one blonde. It’s a fair question. The little reprobate, who despite having no natural ability or common sense believes he is better than everyone else at everything, does, after all, start more spectac-ular fires and cause more emergency call outs than all of the other residents of Pontypandy combined. Yes, including Mandy Flood. I know, The Unmumsy Mum has aired a theory about him being Fireman Sam’s illegitimate son, but, while the red hair would back this up, I’m going to ignore this in favour of putting it down to a mixture of his age, the fact no-one ever gets hurt as a result of his actions and the town seemingly not having a police officer. Cash-wise, I believe he’s the town’s mechanic, so I’m going to put it down to servicing Trevor’s bus and vastly overpriced M.O.Ts. In terms of where he sources the materials to build his jetpacks and submarines, I have no idea but I’m pretty sure he must be on the MI5 watch list. And when it comes to the question of why no one has broken the news that his gadgets and gizmos are total liabilities that regularly put his friends and family in danger, I can only assume that they feel sorry for him. Well, it’s either that, or he’s managed to procure some naughty pictures from the fire station Christmas party. It’s a yes from me. Obviously, there are many elements of Norman’s character that I’d prefer my son not to copy, but his naughty actions always lead to clearly negative situations and he always apologises in the end. Over and above these behavioural lessons, the show also provides some great fire safety info (always turn off the electricity, use sticky foam instead of water, don’t take the batteries out of the smoke alarm etc) and steers clear of the lazy ‘boy are stronger than girls’ and ‘men are stupid’ stereotypes you’ll find in other cartoons. Plus, it looks good, it features trains, fire engines, boats and helicopters, and the theme tune occasionally sends my kid to sleep. So long live Pontypandy. Long live Fireman Sam. Long live my son’s first TV obsession. This article was originally published on Father-Hood. Read the original article here.